The party said President Muhammadu Buhari should speak up on the development particularly following allegations that funds released for the phantom project were allegedly diverted to finance his 2019 re-election bid. In a statement issued by the party’s spokesman, Kola Ologbondiyan, the party said, “demands that the N1.2 billion be immediately recovered and directed to critical interventions in the aviation sector, including the unpaid pension owed to retired aviation workers. “The purported indefinite suspension of the Nigeria Air project is part of the fraudulent script by the Presidency, which knows that it cannot go far with the lie, since the project does not exist in the first place. “Nigerians now know that the reason for the rush to London to ‘unveil’ mere drawings of airplanes, name, logo and imaginary routes of a non-existent fleet as our national carrier, without any structures, operational license, clear partnership agreements and no form of ground activity any where in our country. “What the APC and the Presidency failed to understand is that lies, no matter how ornamented, always have their expiring dates. The truth may be suppressed for a while, but it always has a way of coming to light. 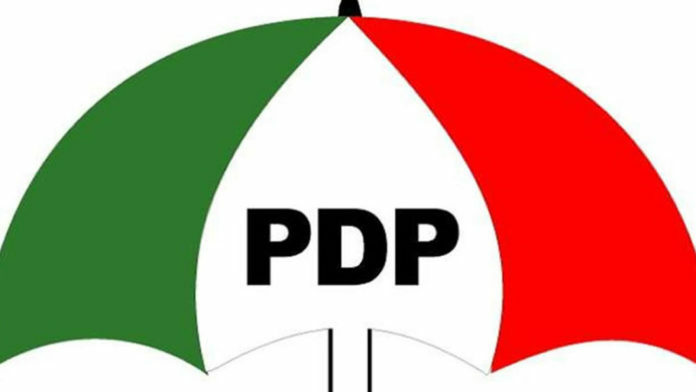 PDP “demands that the N1.2 billion be immediately recovered and directed to critical interventions in the aviation sector, including the unpaid pension owed to retired aviation workers.